Global Health Foundation (GHF) envisions a world where all people have access to comprehensivehealthcare services delivered by highly trained and compassionate medical professionals in well-equipped healthcare facilities. GHF supports innovative solutions to improve the health and livelihoods of people living in underserved communities around the world. 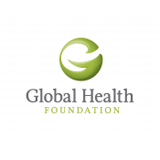 The Global Health Foundation supports innovative solutions, including products, technologies and trainings, which prevent maternal and newborn deaths, as well as injuries and complications sustained during childbirth and the first week of a newborn’s life.